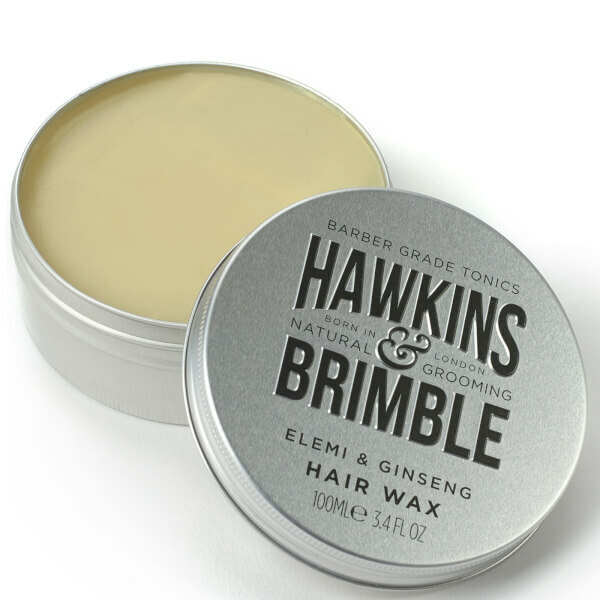 Delivering long-lasting hold, the Hawkins & Brimble Hair Wax allows you to create your desired look with ease. 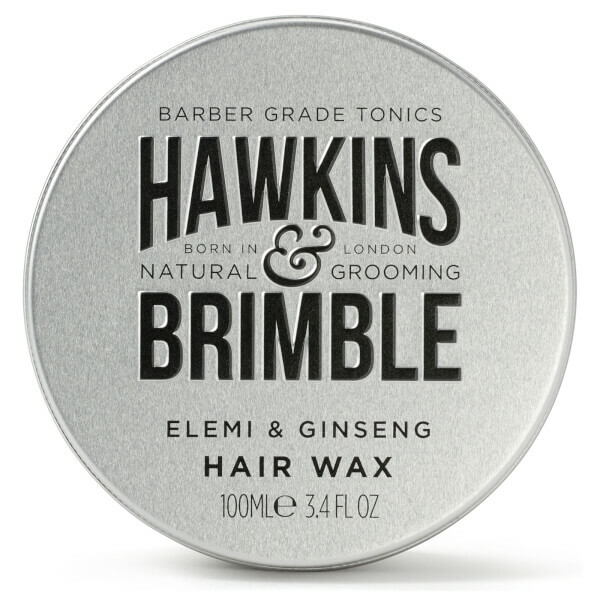 Harnessing the powers of Cocoa Butter and Beeswax, the lightweight, non-greasy styling wax nourishes and conditions hair, whilst Jojoba and Almond Oils add shine and lock in moisture. 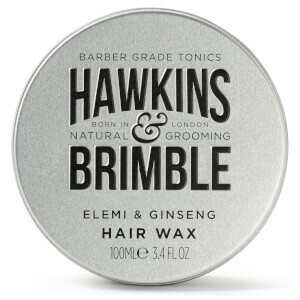 Use on dry or damp hair for a salon-worthy finish without messy build-up, flaking or stiffness. Made in the UK. No animal testing. Suitable for vegetarians. 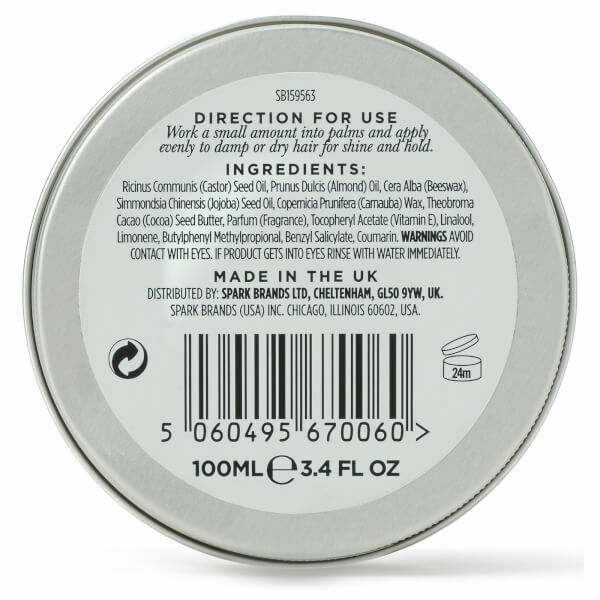 Free from parabens, colourants, mineral oils, SLS/SLES and alcohol. Work a small amount into palms and apply evenly to damp or dry hair for shine and hold. Avoid contact with eyes. If product gets into eyes rinse with water immediately. Ricinus Communis (Castor) Seed Oil, Prunus Dulcis (Almond) Oil, Cera Alba (Beeswax), Simmondsia Chinensis (Jojoba) Seed Oil, Copernicia Prunifera (Carnauba) Wax, Theobroma Cacao (Cocoa) Seed Butter, Parfum (Fragrance), Tocopheryl Acetate (Vitamin E), Linalool, Limonene, Butylphenyl Methylpropional, Benzyl Salicylate, Coumarin.